Gretchen Ramos is a partner based in the San Francisco office of Squire Patton Boggs LLP. Serving as global privacy counsel for several companies, including those which handle genomic data, Gretchen assists them in quickly identifying the key privacy and data security issues they face, eliminating the extraneous ones, and developing a strategic roadmap that fits their business objectives and risk tolerance. Recently much of her time has been devoted to compliance issues relating to the GDPR, the Privacy Shield and NIS. She also assists clients with data breaches, ensuring they move swiftly to address such incidents, and regularly represents clients in privacy-related litigation. 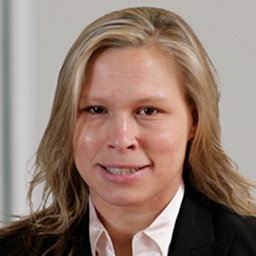 Drawing on her extensive insurance coverage experience, Gretchen also is able to answer client’s questions regarding the scope of their cyber liability policies, and is well-positioned to litigate for or against them. Gretchen contributes to a number of publications and regularly presents on privacy-related topics. Autonomous Vehicles and Cybersecurity: Speedbump or a Wall? Privacy and Genomic Data: What Are the Real Risks?